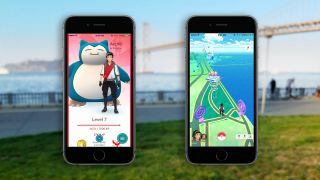 Niantic, the game studio behind Pokémon Go, is readying another update for the popular mobile game. Soon, you'll be able to choose your favorite pocket monster to be your "buddy," confirming the rumor we reported yesterday. Once you choose a Pokémon to be your buddy, it will show up next to you in your trainer profile screen and next to your avatar icon. You'll also get rewards from your buddy Pokémon, like getting Candy while you guys walk together. While Pokémon Go was initially a massive success with over 30 million downloads as of July 19, the mobile game is now losing its lustre. According to a Bloomberg report, the game is losing daily active users at an alarming rate and active users are being less engaged. Searches for "Pokémon Go" have declined rapidly since its launch. Even though the game was initially seen as a boon for augmented reality, interest in the technology has also declined in recent months. It's unsurprising that Pokémon Go was a summer fad, with justified criticisms of its shallow gameplay and exponential difficulty. While the original Gameboy game let you battle wild Pokémon to weaken them before an attempted capture, Pokémon Go watered down gameplay to simply throwing streams of balls and berries at Pokémon. Gym battles are similarly shallow, only allowing taps for attacks and swipes for dodges.